Opening main titles for Pausefest 2018. I was contacted by Pausefest founded George Hedon in summer of 2017 about creating the opening titles for next years conference and, a conference opener being on my project bucket list, I happily agreed to do it. I got things started as soon as possible by presenting a concept deck. Below are a few pages from the document. 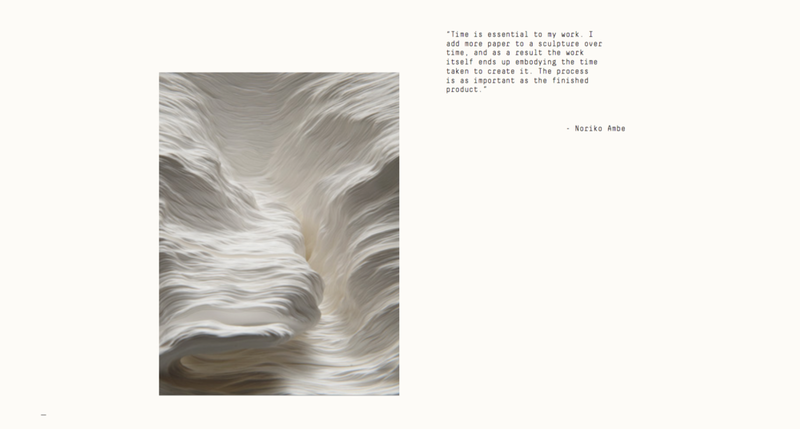 A big inspiration was the work of Noriko Ambe. This concept aimed to visualize this years theme: Journey = Destination. The idea that a journey and it's destination are the same, two parts of a whole, leading to a never ending cycle of discovery. A journey leads to a destination, that might lead to a new journey, and so on. While this can be abstracted and intellectualized ad infinitum it can also take a more literal shape. A map. 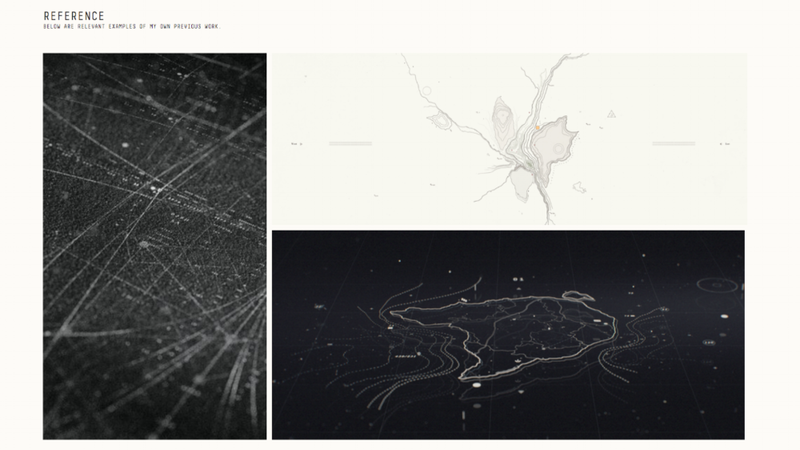 Maps can serve as metaphors as well as the more obvious tool many times necessary to embark on and complete a journey. 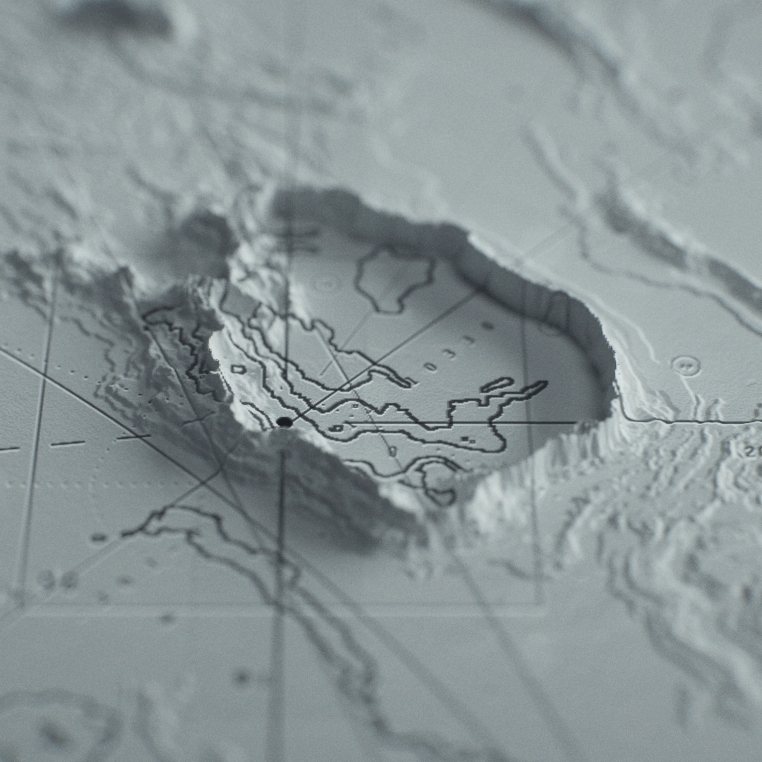 This is why I decided to make this years opening titles about maps. Since my teens I've been fascinated with maps and cartography in general, and the interest was probably born much earlier, as a kid loving to page through atlases with their intricacies and overload of information. Again in my teens, as a big fan of fantasy books and video games (specifically japanese RPGs with vast worlds and maps accordingly), I started to write my own stories, creating the world maps necessary for the plot and characters to live in. This lead to me hand drawing a poster sized, full world map, complete with continents, mountain chains, countries, cities, forests, lakes etc. I remember it being a great pleasure to have a long, on-going project that I could work on whenever I had some free time, and to see the final result. This interest and process has been something that went away for a while after my mid teens but came back a few years ago after entering the field of design and motion graphics. It's truly a meditative labor of love, and while the feeling of finishing one of these cartography illustrations is wonderful, the real joy lies in making them. The process is the goal, and vice versa. Originally the piece wasn't supposed to have a voice over, but after stumbling over the opening quote I decided to use the below excerpt from the T.S. Eliot poem Little Gidding. While using this piece of poetry was the goal for a while we ended up using an original script by copywriter Jamie Sugiyama, however recording both scripts. Working with and directing a voice actor was also a new and exciting experience, sometimes having to give very specific feedback to get the tone and rhythm just right. Playing with references and testing different ideas became a very personal and really fun recording session. See, the depart, and we go with them. The moment of the rose and moment of the yew tree are of equal duration. Excerpt from Little Gidding by T.S. Eliot.